We got the baddest, meanest, most ruthless, vengeful version of the Dodgers Southpaw. 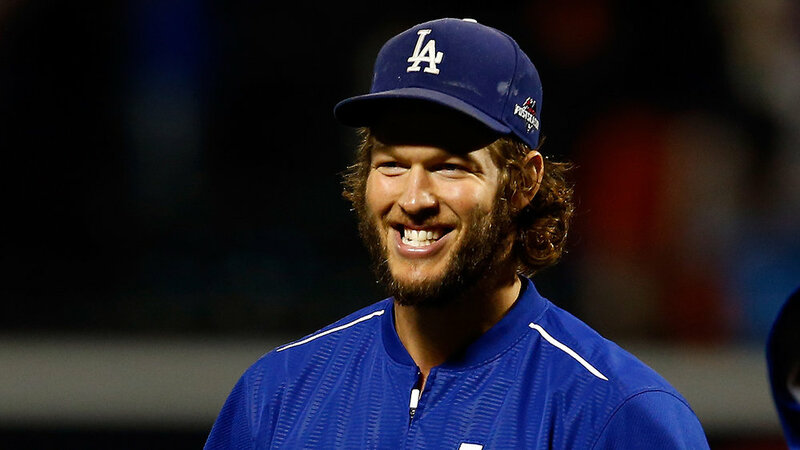 We got Cy Young Clayton Kershaw and it was AMAZING. The guy was on fire. Plain and simple. 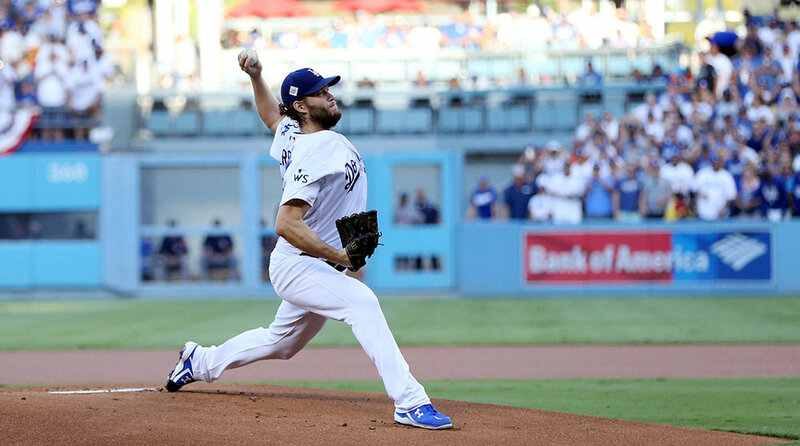 There was no way Kershaw wasn’t going to win the game. The other amazing thing to remember about this game is that not only did Kershaw annihilate the Juggernaut that is the Houston offense, he did it with only 83 pitches. Kershaw could have finished this game, but his removal from this gem just goes to show how little Dave Roberts is playing around here. If this series gets to Game 7, Kershaw gets the ball. The Dodgers are going balls to the wall. Speaking of balls, if someone finds the ball Chris Taylor launched into orbit on the first pitch Dallas Keuchel threw tonight, can you let us know. That thing was blasted. Holy cow. The Dodgers offense wasn’t completely on the entire game, but there’s a lot to be excited about. Corey Seager’s two hits is very, very positive news, and it must be a sigh of relief to have him back in the lineup. Kiké Hernandez continues to become a household name with his base knock and Austin Barnes also decided to get in on the fun. The odd thing that about this game is how the Dodgers offense appears to struggle on paper, but they seemed in control the entire time. That’s what good pitching can do. It can open up opportunities for you at the plate and give you a chance to succeed. Dallas Keuchel was not his top-level pitching self last night and it showed. But then again going up against Kershaw would make anyone look less than. There was a lot left to be desired in the Houston dugout after the game, but I wouldn’t put it past this team to be able to shake it off and make some changes. Most notably was the lack of offense, but that can be chalked up to facing Sand Koufax 2.0. However, a closer look at their past three games will tell you that this is a bit of a problem for the ‘Stros. In their last three games, the Astros are hitting .233. It should also be noted that they’ve scored the majority of their runs off of homers, and are now facing the Dodgers who gave up the second-fewest homers in the MLB. They can no longer rely on the longball. Also, shoutout to my boy Phill Cuzzi for what was possibly the most consistent and fair strike zone I have seen this postseason. When you go back and watch the videos from the game, specifically Kershaw’s 11Ks, you’ll see that Cuzzi is NAILING these calls. There were very few borderline calls and I love that. You know who didn’t love that? The Houston Astros. All this did for me was magnify how abysmal the zones were in the ALCS. No one knew how to pitch to this Houston team because you couldn’t find the zone. In the case of Altuve, most pitchers have been trying to pitch to his zone, allowing Altuve to control the at-bat. It’s something we’ve seen before with early career Dustin Pedroia. However, when you go directly at Altuve and pitch him no differently than anyone else, you take the bat out of his hand. Which is what we saw last night. This is a game the Houston Astros have to win. In a series where you have two Aces in the other dugout, you have to win the games in between to stay in the fight. I’ve said it before and I’ll say it again, the Astros have to win Games 2 and 4 to stay in this thing. The Astros need this series to go 7 games if they can’t get to Darvish or Kershaw. That stretch starts tonight. The key here for the Astros is getting to Rich Hill early and often to keep the pressure off Justin Verlander. The more relaxed and the more control Verlander has, the easier it will be for him to overpower the potent, young Dodgers offense. 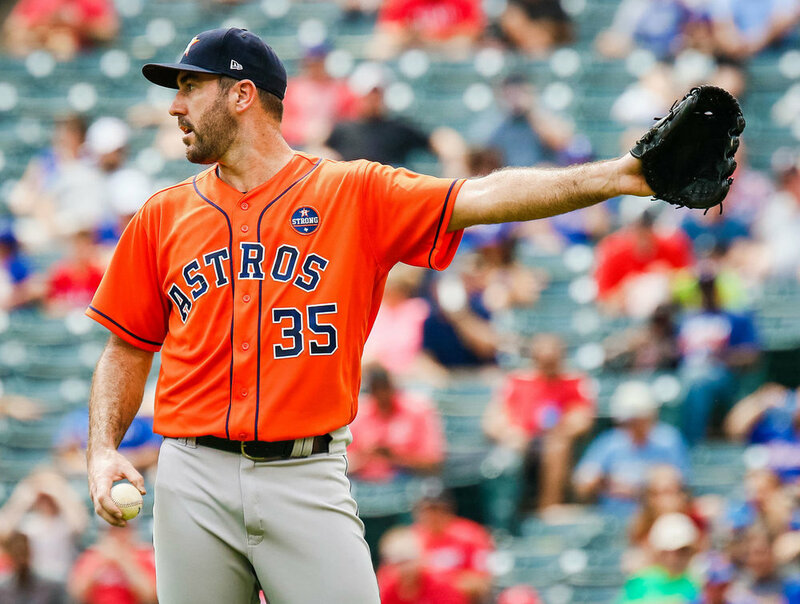 In the end, that’s what this comes down to can the Astros get their runs in against Rich Hill and can Justin Verlander stifled another powerful offense? The Astros have seen good pitching throughout the postseason, so it’s not unlikely that they’ll pull this one out. Getting to Hill early is their best chance, especially considering how insane the Dodgers bullpen is. 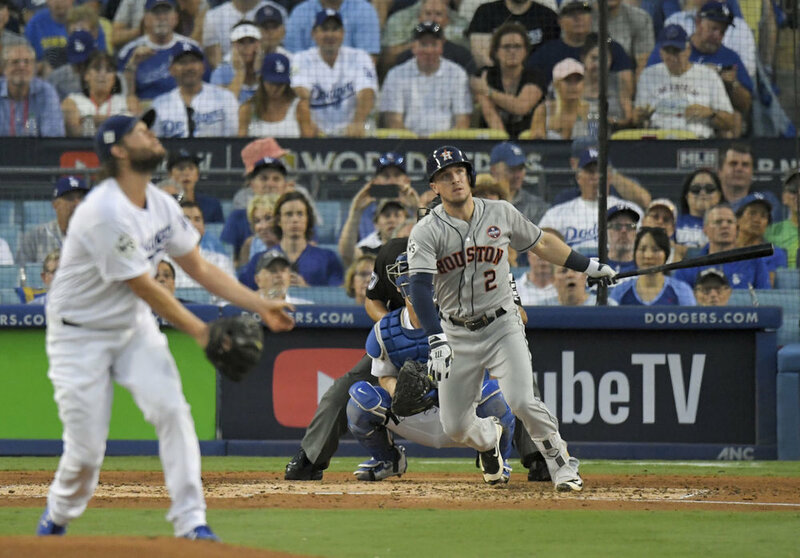 If you can get to Hill and get to a starter in relief like Wood, Maeda or Stirpling of McCarthy, your odds of taking the W and momentum back to Houston vastly increase. Dave Roberts has shown us he’s willing to pull a starter to save them for later in the series, so what happens when he’s forced into a corner? The Astros have to find out. History doesn’t give me confidence, however, with Verlander’s career numbers against the Dodgers being .229/.282/.406/.688. Why? Because Rich Hill has much stonger numbers against the ‘Stros suffocating them with a career slashline of .176/.300/.353/.655. Hits are going to be sparce for both teams. We’re going to be in for another staring contest. 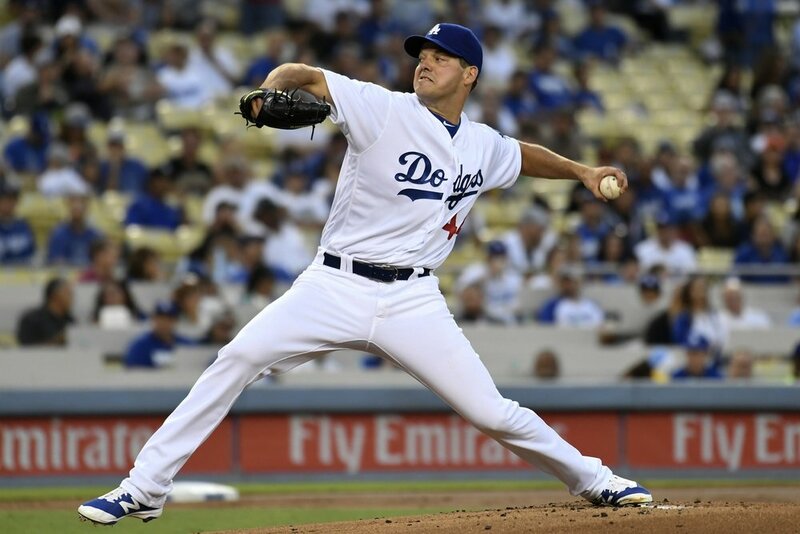 …but then again… Rich Hill could surprise us all… like he usually does.